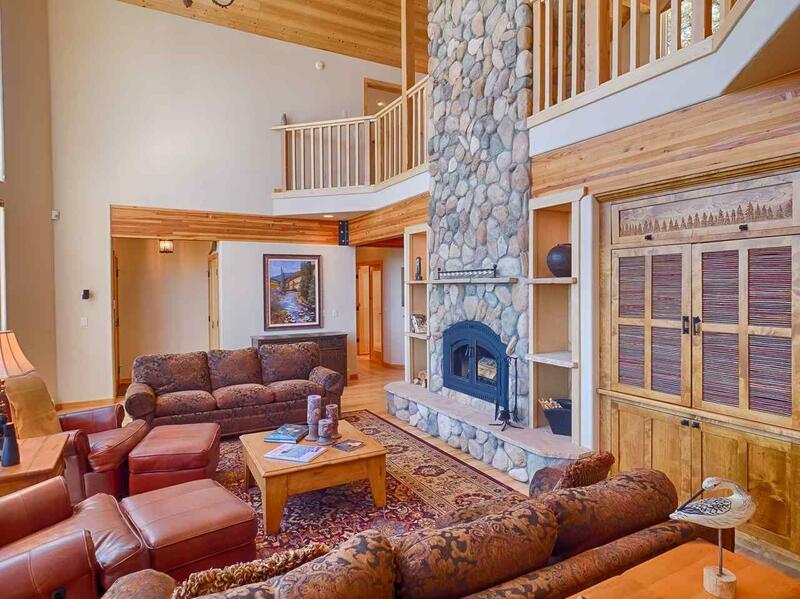 174 Brazos Dr, hidden in the mountains of Angel Fire, New Mexico is the ultimate retreat for comfort and relaxation. Come fly into Angel Fires jet capable airport and explore this year round destination, buzzing with outdoor enthusiasts enjoying the shopping, dining, and all the outdoor activities you can desire, from Skiing, Golf, Biking, to Fishing and more! 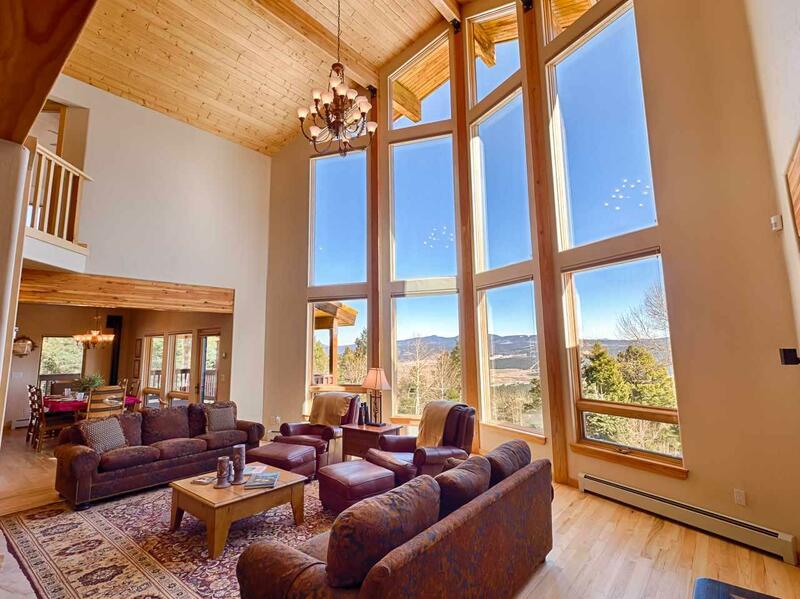 Then, quickly escape to this private retreat perched high above the Valley with amazing mountain views. Situated on over 14 acres with a long private driveway, this home sits out of sight from all neighbors and the road. The home has a beautiful stucco and river stone finish and four decks to enjoy your park like setting. Inside, youll find a well maintained home that provides ample space to spread out but still has a very cozy feeling. 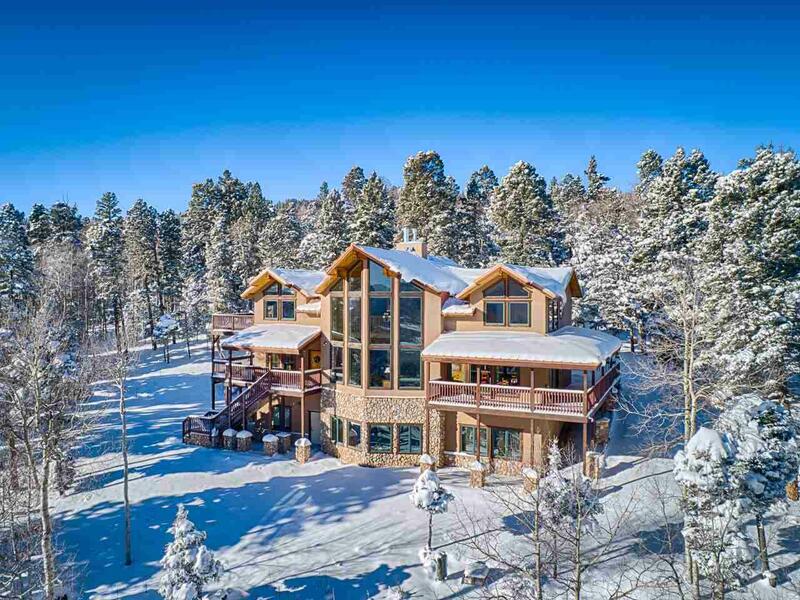 The main floor features a great room with soaring ceilings and a wood burning fireplace, a large kitchen with a walk in pantry, a master suite, guest bedroom, a full bath, and a sun / flex room. The upstairs is a large private retreat featuring a sitting area with fireplace, a master bedroom featuring a custom wardrobe with hand carved doors and a private patio, a large ensuite bath with dual sinks, a steam shower and jetted tub, and finally, an office / flex room. The lower level contains the laundry room, a full bath, game room and another bedroom. This home also has a two car garage and comes fully furnished. 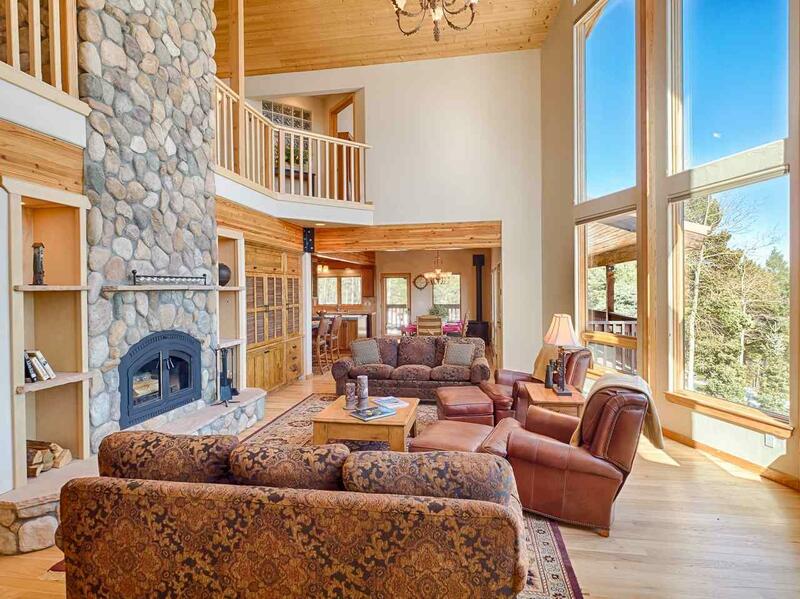 Come explore the quality, affordability and active lifestyle Angel Fire has to offer luxury home buyers.